What Is Decorate a Bra? Decorate a bra is a great way for the surrounding community to help raise money for local families fighting cancer. All you have to do get a bra and have fun decorating it, and the best part it is FREE to enter!!! Here is how it works. Get a bra and decorate it any way you want and turn it into a fun and memorable piece or art. 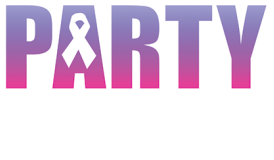 Once you are all done dressing up your bra you can either drop it off at the Station Bar & Grill or call 763-257-9239 to arrange for a Party For A Purpose volunteer to come and pick it up at your location. After we get all the decorated bras they will be displayed at the Station Bar & Grill for 2 week where we allow the public to vote on who has the best decorated bra. The winning Bra will be proudly be displayed for a year for the world to see! Once we have declared a winner in the Decorate a Bra contest we will be auctioning off the remaining Bras to raise money. This is sure to be a great time! Yeeep! !